As 2019 kicks off, the company releases its second annual report on preferences and popular choices of visitors to China based on the experiences of clients in 2018 and offers some useful tips for first-time travellers as well as those who have been before. Considering the mild weather and pleasant temperatures, spring (March, April and May) and autumn (September and October) are the two most popular seasons. Based on TCG’s 2018 data, the March – December period receives the most visitors, with March, April, May, July, September and October being especially popular. January and February are the two least popular months, with only 6% of travellers choosing them. Other factors besides weather worth considering when deciding when to travel include public holidays and school breaks. In 2018, 82% of TCG travellers visited Beijing during their trip to China – understandable, as the city is widely considered the main gateway, geographically and culturally, and is home to two of the best-known attractions China has to offer, the Great Wall and the Forbidden City. As another major city and the financial capital of the country, Shanghai attracted 31% of TCG clients. Another popular destination was the ancient city of Xi’an, site of of the world-famous Terracotta Army, which 27% of those travelling with the company visited in 2018. Guilin/Yangshuo, Hangzhou, Suzhou, Chengdu and Zhangjiajie made up the second tier of popular destinations among foreign travellers, with the Guilin/Yangshuo area particularly well known for natural scenery. 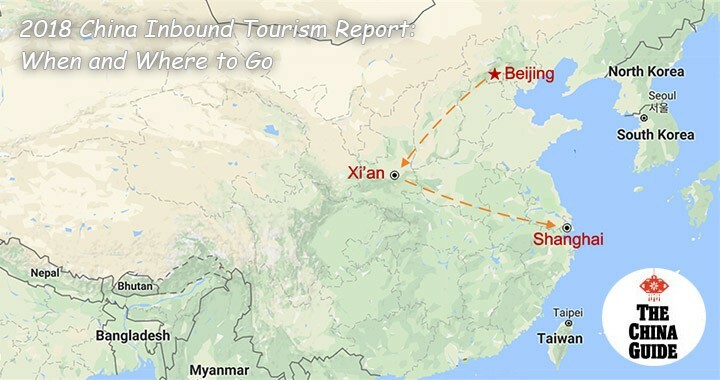 Third-tier destinations include Huangshan, Pingyao, Luoyang, the Yangtze River, Guangzhou, Datong, Yunnan and Tibet. The TCG report notes that while less popular, these destinations are still a good choice for visitors with a particular interest in them, or who are keen to visit sites more off the beaten path. However, Yunnan and Tibet, despite being well known among travellers, did not receive many visitors because of their remote geographical locations and difficulty of access. In 2018, 49.8% of TCG travellers visited Beijing as their sole destination. The report notes that considering not many people would buy an international flight to China to spend only a couple of days visiting just one city, this figure is likely to be due to the many layover and/or transit passengers or business travellers who take one or two days off during their trips to do some sightseeing. TCG clients spent an average of 2.3 days in Beijing in 2018. As another main entry point for overseas visitors, Shanghai also attracts many layover/transit passengers or business travellers who take a couple of days off during their trip to sightsee, TCG notes. Most people who travel to two or more cities are vacation travellers. For these travellers, Beijing – Xi’an, Beijing – Shanghai, Beijing – Xi'an – Shanghai and Beijing – Xi’an – Shanghai – Guilin/Yangshuo were the four most popular itineraries. 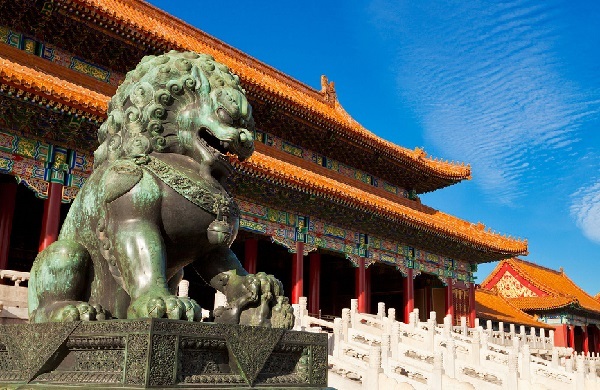 In particular, the Beijing – Xi’an – Shanghai itinerary, also known as the "Golden Triangle of China," was enjoyed by 4.7% of TCG travellers over an average period of 8.2 days, making this a popular choice for first-time travellers to China. TCG says according to its statistics, the longer a trip is, the longer in advance travellers book their toura – understandable, the company notes, since a long tour requires more planning and preparation time. Based on 2018 statistics,TCG clients people book a tour of one to three days an average of 29 days in advance, a tour of four to seven days an average of 55 days in advance and tours of eight days or more an average of 81 days in advance.